Are you a small business owner who’s unsure how to spend your most recent profits? While it might be tempting to use all that money to pay off any outstanding debt, you should also consider setting aside some of your profits and reinvesting them back into your small business. In episode #149, Gene Marks and Elizabeth Larkin offer several suggestions on how small business owners can put their profits to good use. 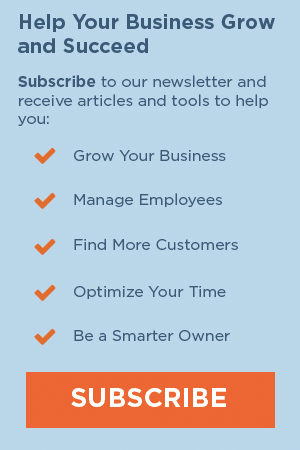 1:06—Today’s Topic: How Should A Small Business Owner Spend Their Year End Profits? 2:13—Small business owners need to understand that having too much cash in their business is not a good sign because it lowers their return on assets. In general, you should only have four to six months’ worth of cash on hand. 3:28—Ideally, you should be setting aside a portion of your profits for the future. You can invest this amount in a 401K, an SEPP (Simple Employer Pension Plan) or a personal IRA. 4:39—While paying off your debts is never a bad idea, keep in mind that interest rates are currently at an all-time low and you might be better off reinvesting your profits back into your business. 5:45—You should spend your excess profits on either capital or investments. 8:04—Don’t pay off your debt if it’s less than six percent in interest because you can actually invest your money in something that could generate even greater profits. 11:22—Gene observes that while the business world still has a long way to go before it achieves true gender quality, female entrepreneurs now have significantly more opportunities. What Is Discounted Cash Flow? Elizabeth: Today’s question is from Lori in East Hampton, Massachusetts, and she owns a machine shop. And her question is, my husband and I own a machine shop, and we also own the building it occupies. We have a lot of debt with the bank from both the business and the building, and if we have a profit at the end of the year, what should we do with it? Should we pay off as much as we can on the building loan, should we buy equipment for the shop, or should we add to our IRAs? Gene: I sure love these Massachusetts people with all their gloating. Lori, you’ve got all these Super Bowl championships, you’ve won the World Series a number of times … the Bruins just won a few years ago, right? The Celtics as well … and now she’s rubbing it in our face that oh, I’m Lori, I’m making a bunch of profits, what do I do with it? Geez. All these people from Massachusetts. Elizabeth: Gene, I’m gonna let you handle this question. This podcast is brought to you by The Hartford. 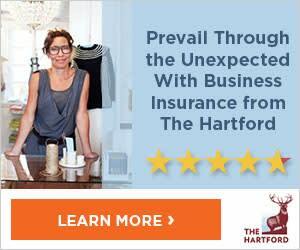 When the unexpected strikes, The Hartford strikes back for over 1 million small business customers with property, liability and worker’s compensation insurance, check out The Hartford’s small business insurance at TheHartford.com. QUESTION: What should we do with our profit at the end of the year? Gene: Yeah, okay. That’s fine. Well, Lori, in all seriousness, good for you that you have profit at the end of each year, and frankly I’ve been seeing that with most of my clients over the past couple of years. And the question is, what do you do with your profits, right Elizabeth? Do you sit on them, do you cash it in and put it under your mattress? What do you do with the excess cash? Now first of all, one thing we wanna be clear on, having too much cash in your business is not a good thing. Alright? Gene: Well, you know what it does? It’s indicative of … it lowers your return on assets. You wanna be running a lean machine type of business. And when an investor comes and wants to buy your business, and they wanna value your business and they look at what income you’re making compared to the assets of your business. Well, if you have too much cash, that’s increasing the assets. It lowers the denominator. In other words it makes you … it lowers the amount of percent return that you’re getting on your business. Plus you’re tying up cash in places that could be used somewhere else. Maybe in your own personal investments, or something that could be more useful in you’re … which we’re gonna talk about in a minute. So just sitting and looking at your cash is not a great thing. By the way, rule of thumb, most businesses should have between four and six months of cash on hand. Okay? Gene: Different by the industry, different if you’re in a different seasonal kind of business, and I get that. But Lori runs a machine shop in east Hampton, Massachusetts with all the Super Bowl trophies and all of that, and she probably needs about four to six months of cash on hand. Elizabeth: Lori’s gonna write in and be like, I’m actually a Dallas Cowboys fan. Gene: Yeah, right. I’m an Eagles fan, so that would be even more of a problem. So Lori, say you’ve got that extra cash, and say you’ve got more than four to six months of cash on hand in your business, so what do you do with the extra cash? Well, couple things I advise. First of all, we all need to be putting money away for the future. So, for sure you need to be maxing out your retirement accounts, whatever they are. That’s my first piece of advice. If you have a 401K in your business, if you have a SEPP, which is a Simple Employer Pension Plan … you might have a defined benefit plan, you might have your own IRAs … you need to pay yourself first. So, whatever excess cash that you have in your business that you can get rid of, my advice to you is you need to put that away. Gene: Yeah, even with debts you need to be putting money away. And I’m gonna tell you the reason why in a minute. You need to be putting money away for your retirement because that is your long-term plan, that’s why you’re doing this in the first place. That’s why you should be telling all of your kids when they’re working in jobs, maximize out what you’re putting in your 401Ks when you’re younger because you will just be thanking yourself 20, 30 years from now when you’re like, wow, look at the balance that I’ve had that I’ve saved. So pay yourself first, put your money away, maximize out your retirement plans. Now, why not pay down debts? Well, Lori, assuming that you’ve gone into debt … so whatever … you bought equipment, you bought a building … over the past 10 years or so, interest rates are historically low. You look at interest rate graphs that go back over the past century, and it almost boggles the mind at where the rates are. And even today as I speak, they’re in the two to three percent range. They’re just very, very low. Elizabeth: They’ve actually gone down in the past couple months. Gene: Yeah, they have. It fluctuates based on things going on in Washington, the economy … but they’re low. So, really whatever debt that you have, Lori, I’m gonna assume that it’s at a pretty reasonable rate right now. So you gotta think to yourself, if I took that same money and paid down a piece of debt maybe that I’m paying five percent on, couldn’t I take that same amount of money and maybe invest it somewhere else where I could make seven percent or eight percent? If you can make more than what you’re paying in interest on your excess cash, that’s where you want your money to go. So now you have to say, where can I make the most for this money? And you really have two choices. You can invest in capital, or you can invest in just investments … put it into the markets, right? When you invest in capital for your business, you have the most control over that money. Elizabeth: Which, we will link to that in the show notes … how to do a discounted cash flow analysis. Gene: Yeah. Important stuff to do to decide, hey, I can take that same excess cash and put it in to a piece of equipment and I make me a lot more money than whatever I’m paying down on the interest rate and debt. That’s number one. Elizabeth: Well, number one was, put it into your retirement. Gene: Yeah, retirement accounts. But it’s after that. Rather than paying down your debt, you can buy that piece of equipment. Or again, if you wanna invest in a person, a little bit more riskier … but here you hire somebody cause you’re like, oh, I’m gonna pay a little extra and get that new sales person in place, or that new project manager in place, or that new chemist in place, or quality control person in my business because I know that if I’m paying that person 70 grand a year, they’re going to save me X amount of dollars. Or, I can go after this amount of business in it as well. That’s the way you need to be thinking. And then last after all of that, is paying down your debt. It’s funny because … my wife and I are like this all the time, she always grew up where she was always debt free. So, having debt to her is really that she just hates it. Gene: Like being indebted to somebody else. And I get that. And we pay our bills on time and I do the same in my business. But, businesses, for thousands of years, have gone into debt because it makes business sense to do when you can take that same money and get a better return on investment with it. Gene: So, there’s no bad thing about having a debt from a building loan, or a piece of equipment, Lori, as long as you know that you can take your excess cash and better utilize it somewhere else. Elizabeth: What’s a rate that you think it’s acceptable to not pay that off? Gene: So, I would say anything under six percent right now. Gene: I really think that it is not that hard if you have the right capital, and the right idea and the right attention to make eight to ten percent on your money nowadays I think pretty easily, and people make a lot more than that. So, if you’re paying six percent, should at least be able to do better than that on your own. Gene: So that’s my advice. So recap, pay your self … max out all retirement plan options. And then number two, don’t pay down your debt if you’re paying less than six percent in interest. Instead, take that money and put it to better use somewhere else by buying either equipment, right … or property, something that will return … hiring a person, or … and I didn’t even mention this … but, yeah, maybe it’s a matter of taking the money out and putting it into an index fund or something that you think, but that’s more risky and out of your control. Elizabeth: It is one of our internal writers, named Eric Vowe … was it Eric Vowe? Gene: Yeah. Fell asleep four times while writing that article. Remember when you had to shake him? Wake up Eric, it’s discounted cash flow. Elizabeth: But, it’s very helpful. Gene: Of course. Of course. Elizabeth: When I read it I though, oh, what a handy tool. Elizabeth: So, anyway, he interviewed Gene for that and they ended up writing it together. And we will link to that in the show notes. Gene: We both fell asleep on the phone at the same time. Remember? Your boss had to come over and wake us up. Elizabeth: We threw coffee at you. It’s one of those things that you think, when you’re starting a business, you never think, oh god, someday I’m going to have to read about a discounted cash flow analysis. However, you really have to. In order to run your business successfully, you gotta know these terms and how to do these things. Gene: I gotta tell you something, if you start looking at doing a discounted cash flow analysis, that means you’ve evolved a little bit as a business person. You’re not just running some little itsy bitsy little … you’re looking at a discounted cash flow, you’re like, I’ve matured a bit. Elizabeth: Well, it sounds like Lori’s at that stage in her business. Gene: Yup. She’s an established machine shop, and again Lori, you’ve won a lot of titles. I know you are a champion, you don’t have to remind us, but I hope this advice does help you some. Elizabeth: I have to say, looking over the question, nowhere in the question does she mention sports at all. Gene: It’s inferred. Okay, it’s inferred … she’s from Massachusetts. Elizabeth: Lori, thanks for the question. A reminder to everyone, if you have a question, we have a form on our website in the show notes. You can submit a question for Gene to answer, and he’ll do so, probably by making fun of your city sports teams. We’ll be right back with Gene’s word of brilliance. Elizabeth: And we’re back with Gene’s word of brilliance. Elizabeth: I’m afraid of where this is going. Gene: Nope, you shouldn’t be afraid at all. This is a new study that just came out from University British Columbia and Stanford University. They sent out, Elizabeth, 80 thousand pitch emails … pitching like a company or a product … that were promising, they said, fictitious startups. So, they made up companies, right? They sent out 80 thousand emails to 28 thousand venture capitalists just pitching a meeting about this. Gene: And you know what they found? They found that the pitch emails that were sent under an obvious female name compared to an obvious male name, received a six percent higher response from the venture capitalists. Gene: What that means in real English, is that female entrepreneurs were getting more of a response, at least initially, on that initial pitch. That’s the good news. The bad news is that in 2018, the same study found that 83 percent of venture capital money went to companies that were founded by men and not women. Gene: Now, the good news to that is that the companies that did raise money that were female owned and operated got 56 percent more money than they did in the previous year. Gene: So, it’s starting to change. Gene: And I think that’s the message when I say that my word is gender. There’s a long way to go before we have equality between female and male entrepreneurs in trying to raise money. And it was not very long ago where being a female entrepreneur in one of those startup environment are getting money from venture capitalists. It was really a difficult task to do. But, I think that tides are starting to change a little bit, and it seems that now more venture capitalists are way more open, in fact, more so than men hearing from females pitching their startups. It’s now up to society and those female entrepreneurs to, hopefully, do something to improve the actual end result and actually get more of their share of the dollars. And I’m hoping that the next few years or so, we’ll see that trend continue. Elizabeth: Alright. Well, you can come back in a couple years and tell us how it’s trending. So, if you’re a female entrepreneur looking to raise money for your startup with a venture capitalist, the environment is better, I think, than it was a few years ago. Elizabeth: Yeah. And if you have any questions, you can submit them and Gene will be happy to answer them for you. Gene: I have lots of advice to give out. There we go. Elizabeth: Thanks for joining us everyone. We’ll be back next week.